A series of images shot 9000 feet up in the Ancient Bristlecone Pine Forest of California’s White Mountains of Inyo County. Contrasting rich blue sky with the twisting burnished branches of the Bristlecones creates a complimentary relationship built around an abstract sense of composition. 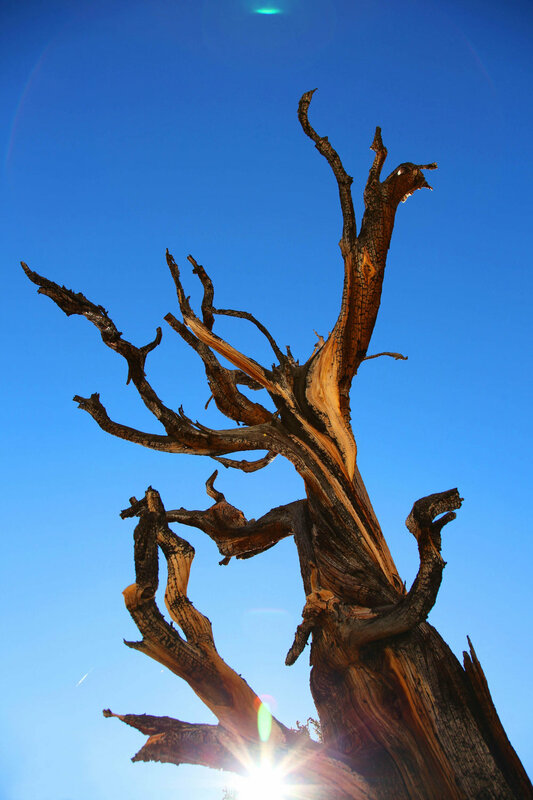 These trees are the oldest living organism on our planet. Many of which are still living and have been in existence for over 4000 years. I am captivated by the natural shapes the limbs and trunks form from years of slow growth and manipulation by the surrounding dolemite rock and weather conditions over centuries reaching for the sky from their lofty perch. I wanted to capture something of that beauty and mystery for myself by shooting the branches from different angles to showcase the curling gnarled limbs.